If you are the kind of person who takes great pride in the appearance of your car, cleaning it at the weekend will be a regular occurrence. Rather than taking it through a car wash or getting someone else to do it, you can also enjoy a great sense of achievement by transforming a muddy and mucky car into a showroom model once again. But, with so many different car cleaning products on the market, it has the potential to be a rather expensive undertaking too. What’s more, if your choice of shampoo, wax, or polish doesn’t have the desired effect, you probably won’t end up using it again. Thankfully, there are a number of household items you can use instead, which will not only save you lots of money but also restore shimmer and shine to your pride and joy. 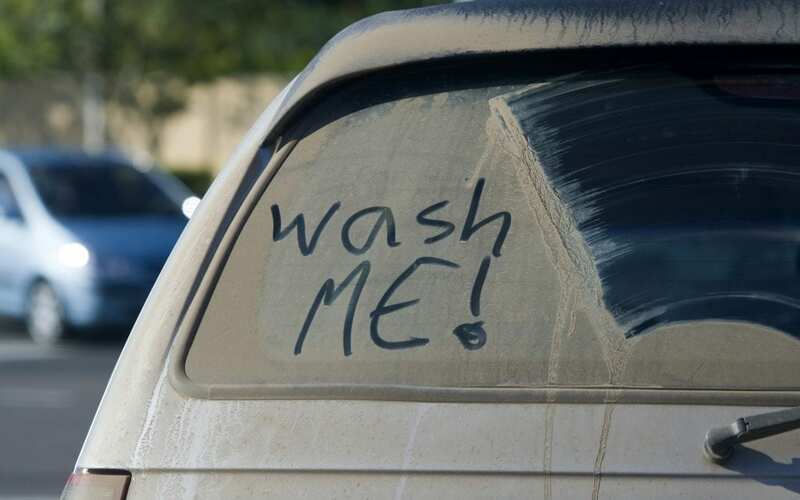 Here are some top hacks for keeping your car clean on a budget courtesy of LeaseCar. It is rather remarkable just how many uses baking soda has outside of the kitchen and this includes the ability to remove spills, dirt, and odours from your car’s interior. All you need to do is sprinkle some on the affected area, brush it into the fibres of the fabric, wait a few minutes for the magic to happen, and then vacuum it all up. You may even want to add baking soda to a car shampoo solution, as it can effortlessly remove dirt from your wheels too. Almost exclusively used to keep your teeth clean and healthy, toothpaste can also help to restore the finish on your headlights. Although toothpaste won’t be as effective or long lasting as a specific lens cleaner, it is still a great fix for headlights that look misty and murky if you don’t have this to hand. Another use for toothpaste is on white tyre lettering, which can also be brightened up by scrubbing again with bleach. Rather than buying car soap or shampoo, why not utilise your own hair conditioner instead? However, you will need to make sure it contains lanolin, which is a type of wax secreted by the sebaceous glands of wool-bearing animals. This substance can give your paintwork a shiny and smooth finish that will also keep it protected against the elements. Remember that the only way you can avoid oxidised, faded, or chipped paintwork is through correct care such as waxing and polishing. The vast majority of garages and garden sheds will contain WD-40, a penetrating oil that can help loosen up nuts and bolts seized by rust. However, its chemical properties can also be used to remove things like tar and bugs from your car, which often bake onto the surface in hot temperatures. It might sound a bit far-fetched, but peanut butter has been known to restore faded black trim to its former glory. This is because the oil contained within helps to re-hydrate the plastic. For this reason, some people choose to buy boiled linseed oil instead, as you won’t be left with the smell of peanuts. Wheelwright does not make recommendations regarding car care or take responsibility for your choices based on the abovesaid. All comments in this article above are from Guest Blog Author Patrick Vernon of LeaseCar.